Every wine region prizes most what it gets least. In the case of northern France that’s wall-to-wall sunshine. For California’s North Coast, it’s a long, dry growing season without extreme heat—conditions in which flavors and tannins can ripen slowly and completely without raisining of the fruit or plunging acidity levels. That’s exactly what happened in 2005. Not surprisingly, a delicious majority of the 100-plus 2005 Napa Cabernets I tasted this spring were aromatically complex and full of life, if not downright young. 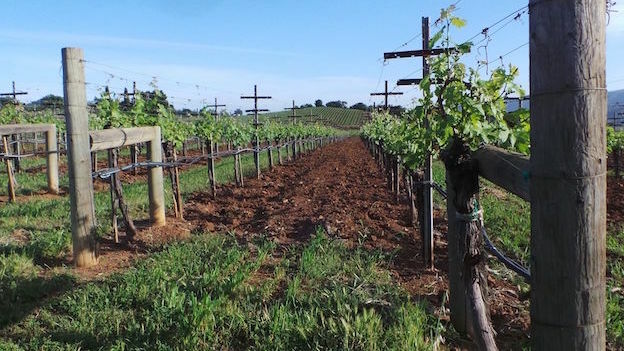 Following significant winter rainfall, Napa Valley experienced an unseasonably warm spell in early March, raising the possibility of an early flowering and harvest. But from late March through early June temperatures were consistently below average and on-and-off rain continued, with near-record precipitation during the month of May. Luckily, temperatures remained cool enough that fungal problems did not generally take hold. July brought warmer weather, and a few heat spikes, with the veraison for Cabernet taking place during the second half of the month. The weather was then cooler than normal through August, with more fog than usual in low-lying Napa Valley vineyards—and even more on the Sonoma side. In fact, from August to the beginning of November conditions were cool and dry, with no consequential heat spikes. In contrast to the previous three growing seasons, there was no period in September of hot, drying wind from the east that could quickly have dehydrated the grapes. Thanks to the ample water reserves in the soil, the grapes could ripen slowly and evenly—a good thing, as very little Cabernet Sauvignon showed sufficiently ripe flavors in September. In the end, it was a particularly long stretch between veraison and harvest. And the result was a crop of aromatically complex, expressive wines with good flavor development, density and verve—and the balance and structure for relatively long aging. The only potential downside in 2005 was high crop levels. Growers who did not take steps to control yields sometimes struggled to get their fruit thoroughly ripe and risked making slightly tart wines—or wines without quite the material to buffer their acid/tannin spines. In particularly cool spots in which the low temperatures of September were exaggerated, growers had to let their fruit hang well into October to get it ripe; this was especially true for the later-ripening varieties in some mountain vineyards in Napa Valley. These 2005s often display a cool aspect. From the outset, I have thought of 2005 as a more European style of vintage, especially compared to the hotter, much earlier harvest of 2004. (At the time, some producers compared 2005 to 2001, a vintage that began quite warm but then turned dramatically cooler in July, August and September, allowing for more hang time and flavor development; but the crop load in 2005 was much larger.) Sugar levels climbed slowly and steadily and the grape skins were usually able to ripen well before potential alcohol levels became extreme. Alcohol levels in the finished wines were typically down a full degree from the very high levels of 2004. Even more important, the better 2005s show real verve and flavor definition. In the early going, the best 2005s showed tightly coiled springs and fine-grained tannins. They gave every sign of being slow developers and in fact that’s how they have turned out. The best Cabernet-based wines from this vintage are just now approaching their periods of peak drinkability. It’s an uncommonly graceful and energetic vintage by California standards. To provide greater context, I have included a few outstanding wines made from vineyards outside Napa Valley. 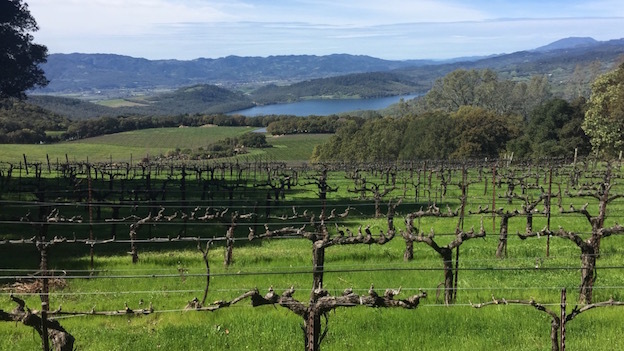 My tastings this spring, the overwhelming majority conducted under perfect conditions at Napa Valley Vintners in St. Helena in March, also included numerous Bordeaux blends and a few wines based almost entirely on Merlot or Cabernet Franc. 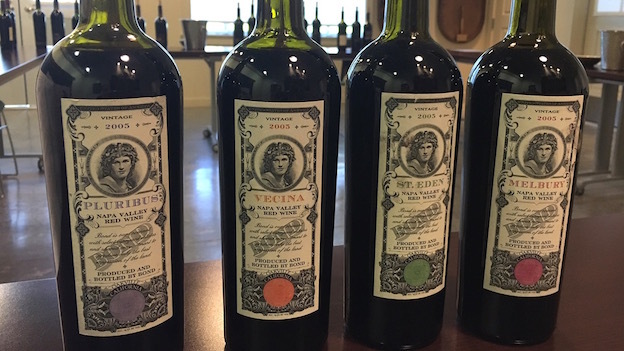 In addition, a couple of the wineries that staged extensive vertical tastings for me in March that included their 2005 Cabernets did not, for obvious reasons, provide additional bottles of their 2005s for my horizontal tasting at Napa Valley Vintners. In these instances, I have simply inserted my tasting note from the vertical tastings into this article.